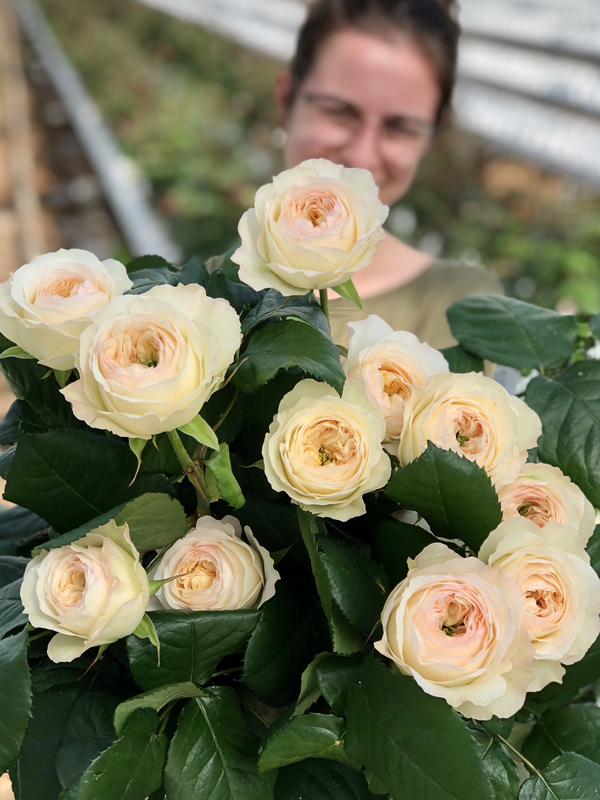 New to the Vip Roses collection in 2019 is Royal Park, a regal cream coloured garden rose type variety. Each new variety we grow is a discovery. As you can see in the photos, Royal Park expresses a softly tinged centre, a sweet colour that can not quite be defined as pink or as peach. However, as the rose continues to bloom it becomes more and more cream in colour. This quality is a result of the early season. As the nights begin to warm up and we enter the summer months, Royal Park will become much more pure in it's cream colour. The bloom measures about 5 cm wide and this rose is remarkably strong. It travels very well, which is a common issue amongst garden roses. Thus, Royal Park is a great option for destinations afar.